It's a well-known story, but a heartbreaker each time it is told. It's the one about the dark side of talent and celebrity and the permanent and omniscient destruction that it causes. Amy Winehouse, Kurt Cobain and even Britney Spears all come to mind immediately, but there were many more that came before and with a tragic inevitability, more are likely to follow. End of the Rainbow tells Judy Garland’s story and the tale of the child star turned superstar plays out around an astonishing performance from Lisa Maxwell. 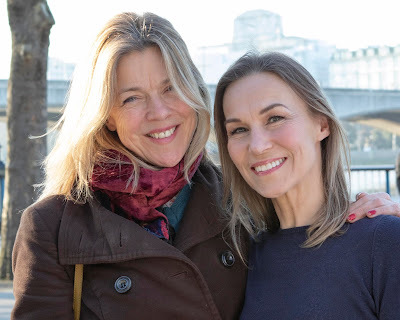 Set in London, as Judy prepares for a six week concert run in the capital, the play provides a snapshot into the complex and irrevocably damaged individual that she had become. Maxwell flits between Garland's incredible self-awareness and power alongside the hysteria as her dependence on drink and drugs became too much. Garland battles with both her manager / new fiancé Mickey Deans (Sam Attwater) and her accompanist Anthony Chapman (Gary Wilmot). Chapman, who has known and loved her far longer than Mickey is to bear witness to her decline. Although billed as a play, a selection of Garland’s greatest numbers are interjected into the telling of the story and Maxwell delivers these with a spine-tingling excellence. Wilmot is also on top form as Anthony, providing a critique of Mickey and his motives and to a degree, acting as the voice of reason. Attwater lacks a certain level of bite and struggles to maintain a consistent accent, but broadly plays well alongside the other two characters. David Shields’ set design is a neat conceit, moving the audience from the hotel suite in which the three are staying, to the concert venue and back again. The staging is well complemented by David W Kidd’s lighting arrangements and some magnificent costuming. 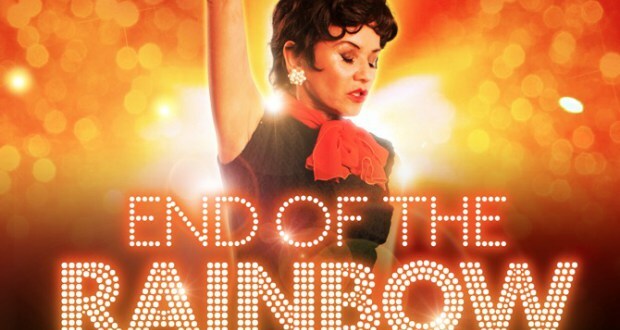 End Of The Rainbow leaves the audience feeling heart-broken, yet also roused by the simply sensational Lisa Maxwell. Ending the show with a song does well to ensure that Judy Garland is remembered for her talent and fire and for achieving the immortality through fame that she craved.